LITTLE ROCK, Ark. (KTHV) - A Little Rock teen has been missing for almost a month, and the family is finding any way they can to get helpful information. 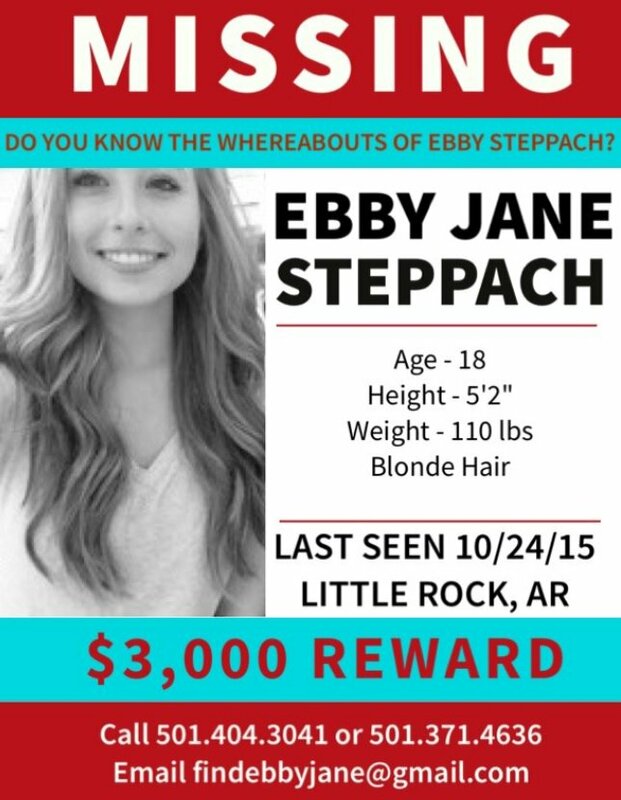 The Little Rock Police Department announced on Tuesday night that the family of Ebby Steppach is now offering a reward of up to $3,000 for information that could lead to her whereabouts. 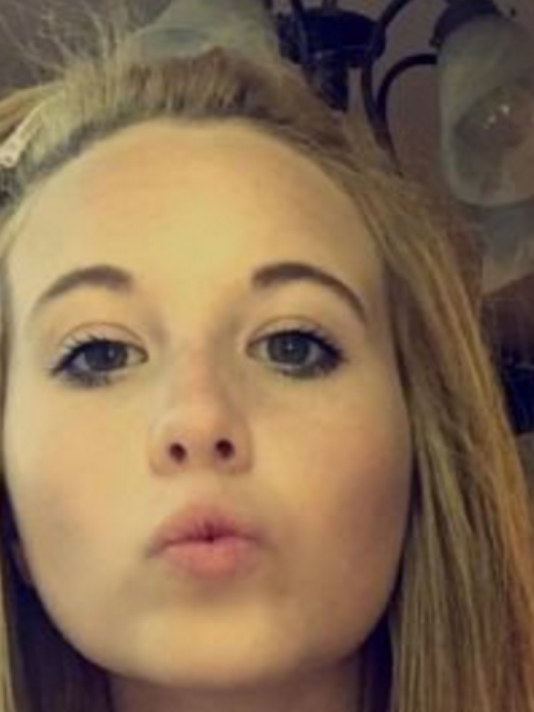 Ebby Jane Steppach, 18, was last seen on October 24. Police told the public on Friday, October 30 that Steppach's vehicle had been found. This reward is reportedly being managed by a private individual not involved with the LRPD and will remain anonymous. 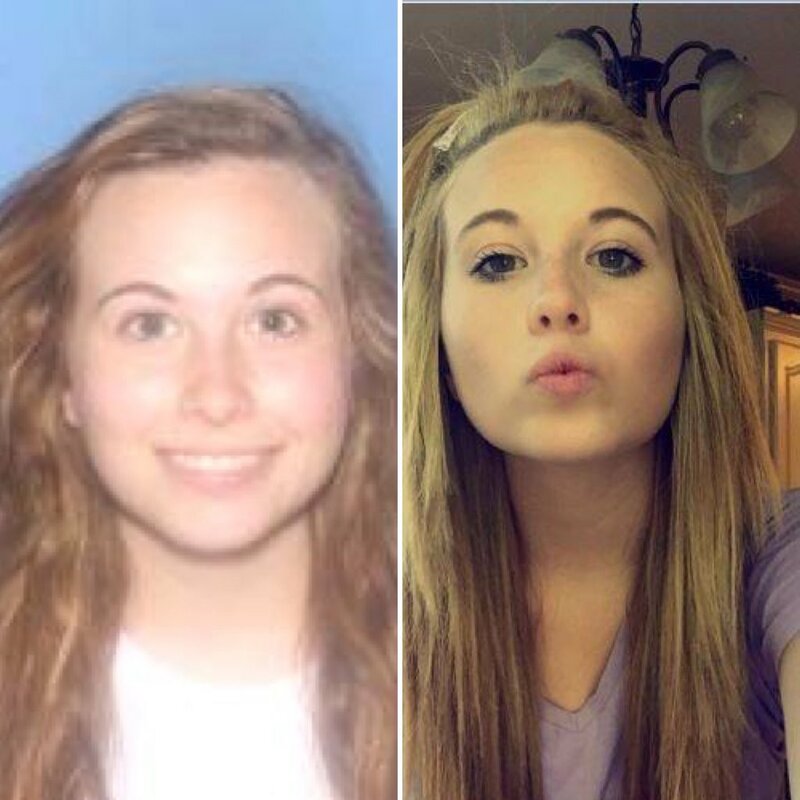 Steppach is described as standing 5'2" tall and 110 pounds with blonde hair. If you have any information, you are asked to contact Det. Williams at (501) 404-3041. Little Rock PD says they have found Ebby Steppach's VW Passat, but are still searching for the missing Central High teen. Police say a Little Rock Central High School student has been missing since Saturday. Channel 7's Jordan Bontke spoke with Steppach's family about the missing teen, and pleaded for Ebby to return home. According to a Little Rock police report, Ebby Steppach, 18, moved out of her mother's home and she hasn't seen since the morning of October 24. Ebby Steppach is still missing. Please call Det. Williams at 404-3024 with any info. LITTLE ROCK, Ark. - "What happened to her?" asks a friend. Ebby Steppach, 18, disappeared a week ago. Fellow classmates at Central High and the girl's family are anxiously awaiting and hoping for her return. "One of my friends I mean we don't talk that much but he had seen her," says Mikayla Davidson. Davidson goes to Robinson High School, and said she first heard about Ebby's disappearance on social media. Now a week later, the hashtag, #findebbyjane is mentioned in several posts hoping for her return. "I saw a lot of posts like 'girl gone missing, spread the word, find out what happened, if you've seen her report it'," adds Mikayla. 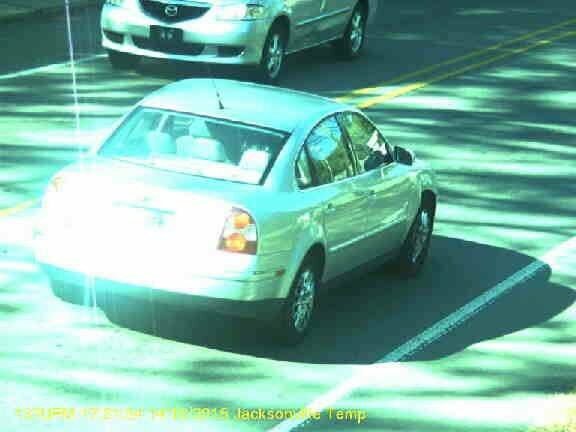 Little Rock Police reported Friday that Ebby's 2003 Volkswagen Passat was found parked in the area of Cantrell and Chenal Parkway. Police said they cannot give an exact location right now, but we know it's near a Walmart and a few gas stations. It has been a month since Ebby Steppach disappeared and her family is desperately looking for answers. LITTLE ROCK, Ark. (KTHV) - On Thursday, most of us will gather around the dinner table to celebrate Thanksgiving with our loved ones, but one Little Rock mother will be yearning for that as the search continues for her missing teenage daughter. 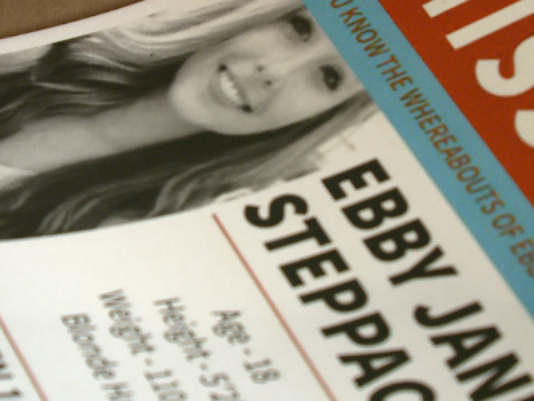 The last time anyone heard from 18-year-old Ebby Steppach was October 25. Her empty car was found days later. Her family told THV11 that they are desperate for answers. They believe Ebby is alive but have no idea where she could be. The only place they want her to be this holiday season is home. It's been a month since Laurie Jernigan has been able to hold her daughter close.